← Which VA Governor’s Candidate Can Best Manage Congestion? Bicyclist Safety and Recruiting New Bicyclists: Are Bicycle Helmets Counterproductive? I joined a bicycling and walking board of directors in 2008 because I was no longer able to tolerate the annual carnage of bicyclists and pedestrians killed on roads throughout the nation. 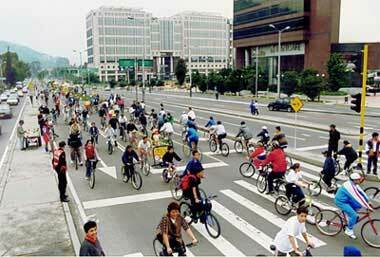 For example, in 2007, 698 bicyclists were killed and 43,000 were injured in traffic crashes in America. That same year, 4,654 pedestrians were killed and 70,000 were injured in traffic crashes. I joined the board because I am impatient with how bicycle and pedestrian advocacy organizations have muddled along without showing any meaningful progress with regard to their two prime objectives: Growing the number of bicyclists and pedestrians, and dramatically improving bicyclist and pedestrian safety. I joined the board because I presume that bicycling and walking organizations are interested in showing the courage, wisdom and leadership to break out of this unfortunate pattern of having very little to show for its efforts to grow bicyclists and pedestrians, or improve their safety. To take measures that are effective in achieving larger numbers of bicyclists and pedestrians, and substantially improving their safety. I have a master’s degree in city planning. My master’s thesis was bicycle transportation. In addition, I have been a daily bicycle commuter in several cities for over 30 years. 1. That true safety for bicyclists comes from low-speed street design (I’ve long known this), and Safety in Numbers (SiN). Recent studies have shown the effectiveness of SiN as a safety tactic (see citation below and links at end of this essay). 2. That nearly all state and local bicycle advocacy groups are undercutting their (presumably) prime objective of recruiting new bicyclists by obsessively, aggressively pushing bike helmet use. 3. That SiN is perhaps one of the most effective ways to achieve increased bicyclist safety, which means that bicycle advocates must start identifying and deploying the most effective bicyclist recruitment tactics to improve safety. Later in this essay, I provide my own personal list of what I believe are such tactics. Of course, an additional, important benefit of successfully recruiting and maintaining large numbers of bicyclists in a community is that doing so inevitably sets in motion the political will to improve bicycling and walking conditions in the community transportation system—in particular, by slowing and narrowing streets, and creating more bicycle lanes, sidewalks, paths, and connectors. Keeping all urban streets and intersections modest in size. Or, if already too large in size, reduced in size (road dieted travel lane reduction). Widening projects, especially those done in the name of safety or capacity, are opposed. Wider roads and intersections are among the biggest deterrents to walking and cycling. Create a comprehensive, community-wide system of off-street paths along rivers and rail/utility rights-of-way. Doing so is an effective way to recruit and provide training for non-bicyclists. Bike lanes and sidewalks are conspicuously absent from this list because while I believe they are a vital way to convey the important message that the community is bicycle- and pedestrian-friendly, I do not believe such facilities, alone, induce a meaningful increase in “utilitarian” (commuter) bicycling and walking. “Safety in Numbers” needs to be promoted and leveraged as one of the most effective means of improving bicyclist and pedestrian safety, and thereby substantially reduce the appalling number of annual bicyclist and pedestrian deaths. “Objective: To examine the relationship between the numbers of people walking or bicycling and the frequency of collisions between motorists and walkers or bicyclists. The common wisdom holds that the number of collisions varies directly with the amount of walking and bicycling. However, three published analyses of collision rates at specific intersections found a non-linear relationship, such that collisions rates declined with increases in the numbers of people walking or bicycling. Data: This paper uses five additional data sets (three population level and two time series) to compare the amount of walking or bicycling and the injuries incurring in collisions with motor vehicles. Results: The likelihood that a given person walking or bicycling will be struck by a motorist varies inversely with the amount of walking or bicycling. This pattern is consistent across communities of varying size, from specific intersections to cities and countries, and across time periods. Discussion: This result is unexpected. 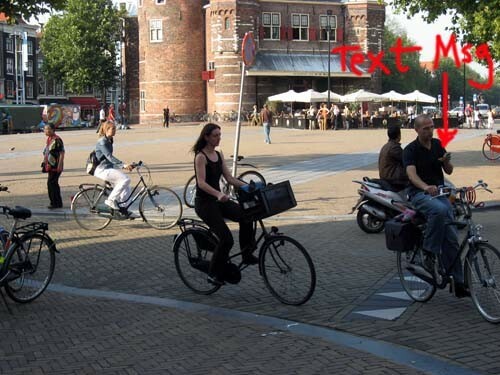 Since it is unlikely that the people walking and bicycling become more cautious if their numbers are larger, it indicates that the behavior of motorists controls the likelihood of collisions with people walking and bicycling. It appears that motorists adjust their behavior in the presence of people walking and bicycling. There is an urgent need for further exploration of the human factors controlling motorist behavior in the presence of people walking and bicycling. It is important to soft-pedal helmets and lycra clothing for city bicycle commuters. Helmets and lycra discourage non-cyclists from becoming bicyclists. They promote the perception that bicycling is dangerous and weird, not normal. Overly zealous bicycle helmet promotion visibly promotes the “dangerization” of bicycling (a term coined by Michael Ronkin), which is the last thing that a community should do when it seeks to increase the number of bicyclists. We know from studies that in low-speed environments, the chance of a bicyclist landing on his or her head is vanishingly small. We also know that in Europe, where bicycle riding is much higher and bicycle helmets are almost never used, bicyclist head injuries are much smaller than they are in the US. Indeed, many in Europe do not wear a helmet for political reasons. Wearing one, for many Europeans, conveys the message that bicycling is too dangerous for normal people, and these Europeans would rather encourage rather than discourage bicycling. In addition, studies (Carpenter & Stehr, 2009; Robinson, 1998) have found that laws requiring the use of helmets actually result in the unintended consequence of reducing the number of people who opt to travel by bicycle (not to mention violating the free speech rights of those wishing to express the political message that bicycling is safe). Furthermore, bicycle helmets provide much less protection against head injuries than is assumed. Helmeted bicyclists are therefore often bicycling with a false sense of security. At least one study has found that motorists drive closer to bicyclists wearing a helmet, and there is speculation that helmets encourage more risk-taking by the bicyclist. Finally, helmets discourage the large percentage of us who are “fashion-conscious” or who seek convenience. Why? Let’s be honest: Helmets make one look dorky. They create “helmet hair.” And they are inconvenient (how do you carry it or find a place for it in an office, restaurant or store?). Given the inconvenience of bicycling compared to driving, why add to the burden with a helmet? It is appropriate, of course, to support and encourage wearing lycra and a bicycle helmet for off-road trail riding and long-distance, higher speed road riding, as long as the safety limits of helmet use are understood. Bicyclists, AS INDIVIDUALS, are probably safer when wearing a helmet. But given the above, if we were to look at the life safety of an entire community or nation, we would almost certainly find that this GROUP of people, overall, would be safer if we did NOT require or aggressively push use of a bike helmet. I strongly believe that one of the top issues—if not THE top issue—for bicycle and pedestrian advocacy groups is to grow the number of commuter bicyclists and pedestrians. We all know the many benefits of doing that: Environmental, economic, social, quality of life, etc. Richard Florida, in The Rise of the Creative Class, comes to the important conclusion in his studies that a community with a large number of bicyclists, joggers and pedestrians is a powerful economic engine. So a community needs to look at the growth of bicycling and walking as a crucial way to improve the local economy. Given this, I believe that an essential, perhaps overriding advocacy position for bicycle/pedestrian advocacy groups is to advocate those tactics that are most effective in inducing large numbers of citizens to become bicycle and pedestrian commuters. There are effective tactics to increase the number of bicyclists and pedestrians, and I have outlined those above. “Safety in Numbers” needs to be promoted and leveraged. Large numbers of bicyclists creates a herd mentality: when non-bicyclists see lots of fellow citizens bicycling, they are increasingly likely to join the herd. They are more likely to identify with bicyclists (rather than seeing them as annoying, in-my-way weirdos). When there are a lot of bicyclists, bicycling is more likely to be seen as safe, hip, and normal. The large number of bicyclists and pedestrians in Boulder, Colorado provides an excellent example of this. Consequently, there is an additional, important tactic: Soft-pedal helmets and lycra for city commuters. Helmets and lycra discourage bicycling and promote the perception that bicycling is dangerous and weird, not normal. Note that I strongly encourage helmet use and lycra for off-road trail riding and long-distance, higher speed road riding. I also respect and admire those who currently commute wearing a helmet. Otherwise, the organization will be undercutting this important advocacy objective of growing the number of bicyclists and pedestrians. To effectively improve bicyclist safety, we need scarce/priced car parking, higher densities, attentive/shared/low-speed streets, mixed uses, proximity, high-cost gas, priced roads, and converting one-way streets to two-way. Effective safety improvements come not only from reduced motor vehicle speeds (due to calmed, shared, attentive streets), but also, importantly, from “safety in numbers.” Given how important I believe “safety in numbers” is for increasing bicyclist and pedestrian safety, those interested in dramatically improving bicyclist and pedestrian safety must urge the use of effective bicyclist and pedestrian inducement tactics. Carpenter, C. S. and M. Stehr. (2009). “Intended and Unintended Effects of Youth Bicycle Helmet Laws.” National Bureau of Economic Research. January 2010. Robinson, Dorothy. (1998). “Helmet Laws and Health.” Injury Prevention; 4:170-171. Thank you for the informative post. I just got into cycling for commuting purposes this past year. It wasn’t an option before, as I had young children to transport. Now the budget is tighter and public transportation fairly reliable in my area. I also decided that my health goals and my environmental concerns supported the cycle commute. I have to admit it is addicting. I now bike places I never would have considered before! What helped me make the change was the assistance of other cyclists who taught me what gear was best and helped me figure best routes. I now cycle even in Oregon winters, which is saying a lot for my Caribbean blood. the fact is that if you get hit by a car, or find a patch of gravel, you’re going down — and you’re going hard. you may fly through the air and crash on the back of your head, or you may slam directly to the sidewalk below you. i did both; the first would have killed me, the second would have been a cracked skull. we need all the safety measures you propose, but not only are many of these years away — and i’m fortunate to live in Portland, where these are slowly happening — not amount of road improvements or education will take away the fundamental fact that on a bicycle, there is nothing between your head and the ground but a helmet. take away the helmet, and you invite a risk that is unnecessary and stupid. there is simply no reason a helmet should keep someone from riding. their hair? it’s not cool? my freedom and rights, dude? all of these are excuses, not reasons, not justifications. no one has the right to put their own life at risk and involve other people. helmets should be a fundamental, unquestioned part of cycling, just as seatbelts & safety glass are part of cars. it’s our responsibility for being part of the roadways. 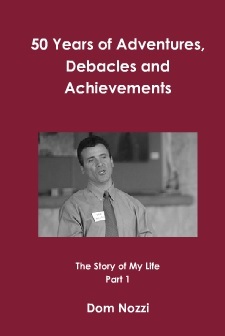 Thanks for reading my blog, and thanks for your thoughtful comments. I don’t want to suggest that others should not wear bike helmets. I do want to suggest, however, that aggressively promoting helmets (requiring helmets by law?) discourages people from becoming bicyclists, and that is bad news for bicyclists, society and overall safety. While fashion/appearance/etc. may not be legit reasons from your point of view, I am disheartened to realize that for many Americans, those are very important issues, and must therefore be taken into account. BTW, I had a serious off-road bike crash in the 90s, and like you, a helmet saved my life. I always wear a helmet off-road and on non-urban, higher speed rides. It is the lower-speed town center environments where I believe it is highly desirable for us to ratchet down the hysterical, aggressive calls for wearing helmets. And I believe I am joined in these views by a large majority of European cyclists, as well as quite a few American bicycle professionals. One last thing: While it is certainly true that a collision between your head and asphalt results in terrible injury, it is also true that for some of us, the chance of such an event in a low-speed town center is about as likely as being hit on the head by a meteoroid. Should I wear a helmet to avoid the “unnecessary and stupid” risk of being hit by a meteoroid? Life is a series of risks. We must be adept at assessing risks. If not, we will be trapped, fearfully, in our homes. I’m willing to risk leaving my home for a walk on the sidewalk w/o wearing a helmet. Again, thanks for visiting and thanks for your comments. 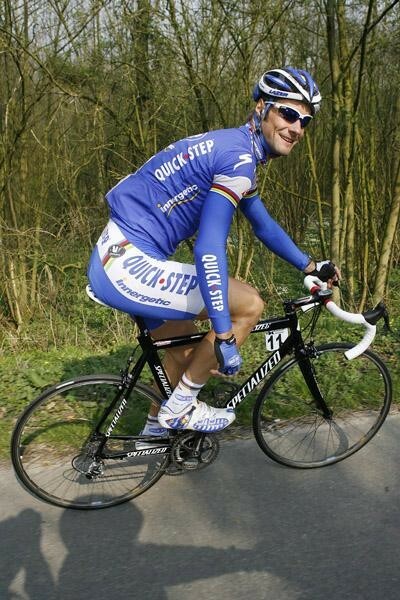 The most effect way to reduce cyclist head injuries is not helmets, it’s cyclist training. There are five layers to cycling safety. 1. Learn how to handle and maintain your bike and you’ll avoid the 45% of cyclist crashes that do not involve a motor vehicle. 2. Obey the rules of the road and you’ll avoid the roughly 50% of cyclist/motorist crashes which are caused by cyclists. 3. 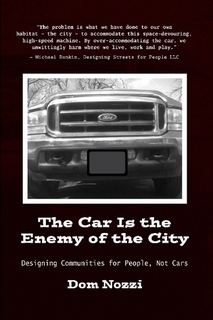 Learn how to control your roadway space and eliminate most of the motorist-caused crashes. 4. Learn emergency maneuvers and avoid the tiny number of remaining motorist-caused crashes. 5. Wear a helmet for the exceedingly rare case that layers one through five fail. If we provide a low-speed street environment, cyclists will be far more comfortable in implementing layers 2 and 3 on the roadway. Mighk, As a brand new cyclist and new to the Portland Area, where can i find a good class for myself and my son (11 yrs) to learn this? Great stuff Dom. I’m with you all the way on this one.